On March 22nd a four player trade between the Boston Uprising and the Los Angeles Valiant involving the Uprising's Main Tank Cameron "Fusions" Bosworth & DPS William "Asking" Vetter and the Valiant's Main Tank Pan-Seung "Fate" Koo & DPS Kyle "KSF" Frandanisa, was due to be officially completed and announced, ready for the start of Stage Two. However, sources have advised a series of events that was dictated by the Los Angeles Valiant, that lead to the trade being cancelled. League sources have advised that the trade, which was originally shared by Brandon "Thibbledork" Padilla and then further shared by myself. Was initiated by the Los Angeles Valiant, who were interested in acquiring Fusions from the Uprising and Asking from the Uprising Academy. In return Boston informed Los Angeles that they had interest in Fate and KSF. After a period of negotiation, both teams verbally agreed on the trade and started proceedings by exchanging the players contracts. Upon receipt of both Fate’s and KSF’s contracts. The Uprising found omissions in KSF's contract from the Valiant, that misrepresented his salary numbers and starting bonus. Sources advised that the Valiant originally indicated that KSF’s contract was a base contract with a flat salary, when in fact, his contract scaled with a growth in salary over time and failed to mention a starting bonus that Boston would have had to pay to KSF every time he was in the starting lineup. These omissions misrepresented approximately 20 - 30% of KSF’s total contract value, had the Uprising decided to take his third year option. This resulted in Boston informing Los Angeles that they were unhappy with the contract omissions and the Valiant, KSF and his agent agreed to sign a new deal which would be more in line with Boston’s contractual language. Sources stated that the new deal that KSF’s agreed to, included the removal of KSF’s starting bonus and eventually lead to the Uprising and Valiant agreeing to proceed with the trade. With the deal in place prior to the stage one play offs, multiple sources confirmed that none of the players involved in the trade where aware of the deal when it was leaked. At this time a member of staff from the Valiant leaked information of the deal to the to staff members on the Dallas Fuels academy team, Envy. Who then went on to inform their academy players of the deal in place. With news of the trade starting to spread through word of mouth, players from both the Uprising and Valiant started to learn of the trade just a few days prior to Boston’s first round playoff game against the Vancouver Titans. League sources told Haloofthoughts that while the Valiant staff member admitted to leaking the information, the Valiant organisation denied any direct responsibility to the leak. Still reeling from their 0-7 stage one and Boston trying to limit the damage on morale that the news was starting to take on their team. Both teams agreed to to tell their players that the trade was going to be happening in the stage break. This then led to Aimgod announcing on stream that something big was happening after the Uprising lost 3-1 to the Titans. Multiple sources also confirmed that with both teams seemingly happy that a deal was done, the Los Angeles Valiant contacted Asking directly when interim and likely permanent Head Coach Mike “Packing10” Szklanny called Asking to confirm to him that Asking would be joining the Valiant and in turn, becoming an Overwatch League player. Sources advised that Asking, became overwhelmed at the news, after seemingly having made it to the Overwatch League. 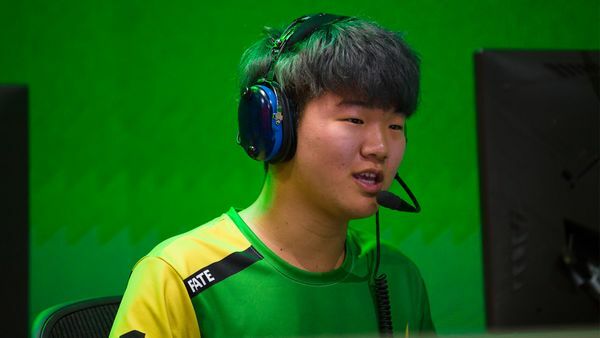 With Asking aware that the trade was going to happen, the Uprising Academy turned their sights for a replacement and signed The Dogmen and Second Wind DPS player Iced as his intended replacement in the starting roster. At this time, Packing10 was under the impression that the deal was going to be completed. Then on March 22nd, the day that the trade was meant to have been completed and after two weeks of creating and finalialsing the trade. The Uprising planned a farewell dinner for Fusions, who had become an integral part of the Uprising roster as their in game leader. Throughout the day, up until midday. The Valiant showed signs of potentially pulling out of the deal, as the two teams continued to talk about the situation when KSF tweeted, virtually confirming that the deal was going ahead. This allowed the fan bases to conclude that the deal was likely to go ahead, prior to the two previously mentioned reports on the trade going public. With news on the trade being released to the public. Multiple sources revealed that the Valiant stated a mixture of reasons for wanting to pull out of the trade, with the Valiant finally doing this an hour before Fusions leaving meal and the main reason for the cancellation being as a direct result of the negative reception at the value the Valiant were receiving from the trade. Multiple sources also stated that the Los Angeles Valiant admitted wrongdoing by finalising and verbally agreeing to a deal in bad faith. As they knew that the Valiant where simultaneously thinking about backing out of the deal. The Valiant also verbally agreed to pay the Uprising compensation for not releasing what had transpired throughout the deal. Boston agreed to this deal but days later, the Valiant then broke this part of the agreement and refusing to pay Boston compensation. 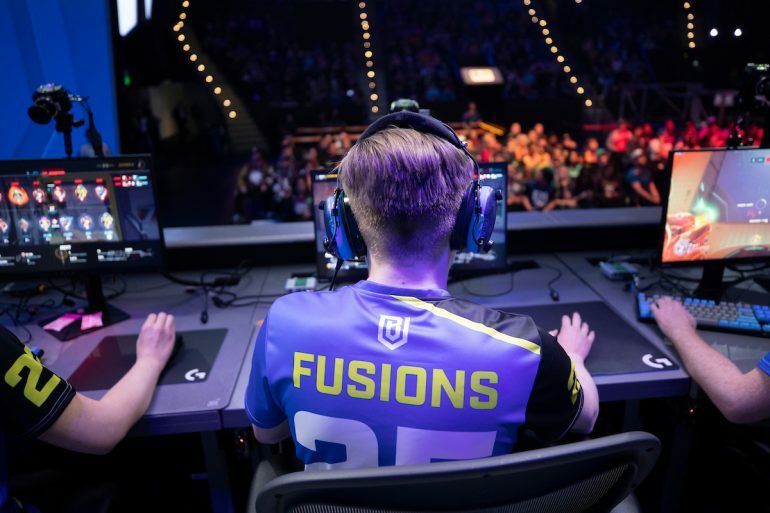 The results of this trade break down have had larger impacts on both the Boston Uprising and their academy team. With Asking suffering from a dip in form due to the circumstances at hand, resulting in he and Iced having to share play time, while Asking come to terms with what happened and the Uprising showing a lacklustre performance after a tough stage one, where they made the playoffs. The Boston Uprising, Uprising Academy, Envy and Los Angeles Valiant were all asked for comment. The Uprising and Uprising Academy decline to comment and Envy and the Los Angeles Valiant, didn't respond to comment at the time of this report going live. Having said that, thank you for the information!